Packed with all the relaxation of the tropics, the hikes of South East Asia, and a super-sized serving of culture (and great food) to boot, Oman is perfect for those looking to up more than just their Instagram game. Here are 11 reasons to book that ticket and head to Oman. Oman’s answer to the Grand Canyon, Wadi Ghul, is reason enough to hop on a plane. Located within the Al Hajar Mountains, Wadi Ghul is an 8km depression dropping up to 1,000m. A four-hour round trip, Wadi Ghul’s Balcony Walk is the most popular trek, showcasing overhangs, oases and an ancient, abandoned village (Ghul). We recommend going for an afternoon stroll (if you could call four hours a stroll) to avoid the heat. If you're hiking boots are well and truly worn in, take on Jebel Shams, the highest mountain in the Al Hajar range (and the entire country). While some may be wowed by such a feat of nature, we have to admit we’re curious about the goats that call the WG home, because there sure are a lot of them. For those not in the know, ‘khareef’ means ‘autumn’ or ‘monsoon’ in Arabic. During the khareef season, Oman’s epic landscapes are blanketed in green thanks to near-constant rain, but trust us when we say you won’t be complaining. Not with those views. Those looking to get the most out of the season should make a beeline to Salalah, with the area hosting a number of festivals celebrating the change. You can expect music, dance (keep an eye out for Zanooj, which involves thousands of dancers) and handicrafts. Salalah is also known as the perfume capital of the world due to its smorgasbord of Frankincense trees, so trek on down. 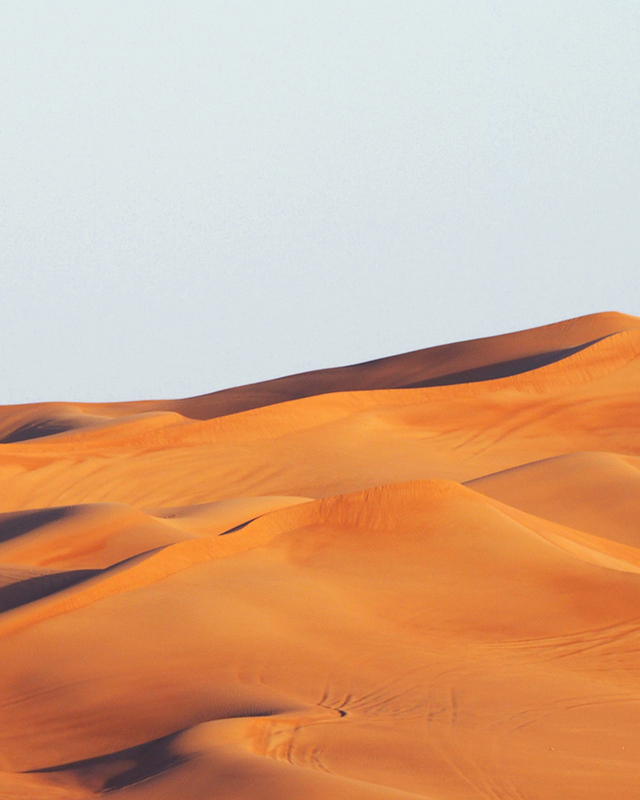 Most of Oman is technically desert, but Wahiba Sands is something else. 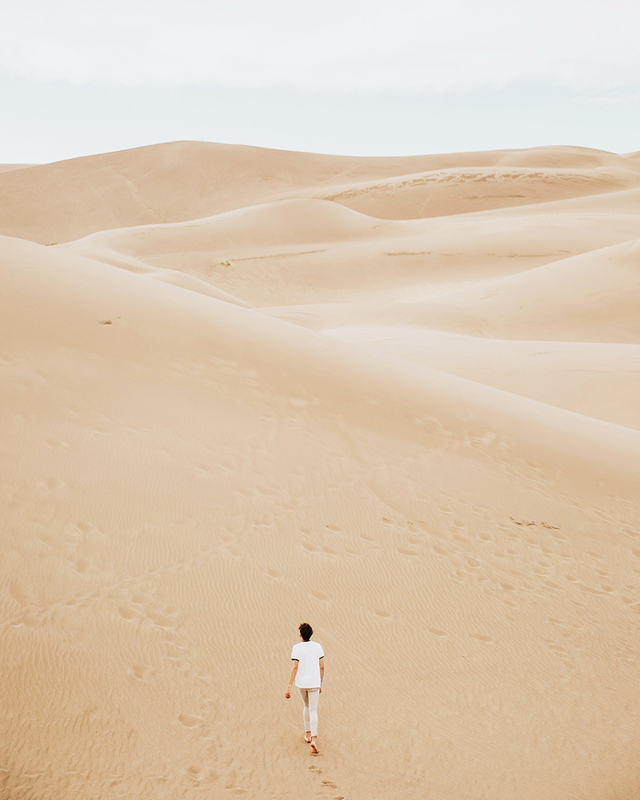 Often referred to as ‘corduroy’ (a quick peek at Google Earth and you’ll see why), Wahiba Sands features dunes of around 100-metres and more than enough sand to fill your socks. Accessible by four-wheel-drive only (and a mere four-hour drive from Muscat), the Sands caters to boarders, quad bikers and camel-friendly trekkers (with a Bedouin guide of course). Those with a penchant for trying new things should head to the souks of Salalah where camel meat kebabs (meshkak) reign supreme. Paired with Omani rice and bread, and seasoned with local spices, the dish is a must-try. If meshkak doesn’t tempt may we suggest the humbler dish of corn in a cup? In most marketplaces, you’ll be able to spot a vendor (or six) selling Styrofoam cups of corn but don’t be fooled, this isn’t the trimmed cob it appears. Paired with butter, lime juice, salt and spicy red pepper, these cups are just as piquant as anything else going around. We also recommend shuwa if you can swindle some (it’s often made for special occasions). Expect meat marinated in Omani spices, wrapped in banana or palm leaves, and placed into an underground sand oven for one or two days. While yes, the term ‘fjord’ is distinctly Norwegian, take heed gentle traveller; ‘Musandam Fjords’ is no typo. A long, narrow inlet with steep cliffs (we’re talking 2,000 meters above sea level) either side, the Musandam sits at the northern end of the country, hemmed in by the United Arab Emirates and the Strait of Hormuz. Don’t worry about a Norwegian-style dip either, temps average a warm 23 degrees Celsius. The water is a beautiful, calm aqua, contrasting nicely off red-brown rocks/your sunburn. We recommend visiting the townships of Khasab and Dibba, going for a snorkel, exploring the fjord on a dhow (Arabic boat), or both. We’d be remiss if we didn’t mention the many sea turtles of Oman, because there are so many. In fact, roughly 20,000 turtles migrate annually to the Eastern Peninsula to lay eggs (we’re talking 50-60,000) between April and August every year. Those looking for a spot of turtle-watching should head to Ras Al Hadd, Ras Al Jinz (both in Al Sharqiyah), Masirah Island, Ad Daymaniyat Islands and the shores of the Dhofar region. 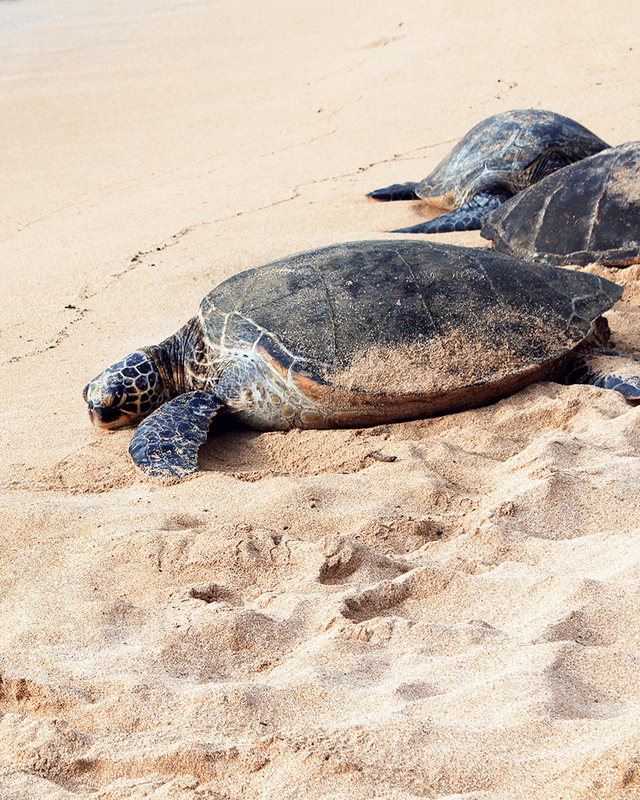 Five different species visit the beaches including the Olive Ridley Turtle and Leatherback Turtle. No disturbing nature though, as tear-jerking as it can sometimes be (those pesky gulls). Ever seen something that simply begs to be photographed? The undeniable crème of this crop is Jebel Akhdar. Almost as high as Jebel Shams (near Wadi Ghul), Jebel Akhbar is known by one key feature, its colour. The mountainous hulk stands out like a sore, green thumb (and aren’t we glad) in a world of rock thanks to its many pomegranate trees, figs, roses, almonds and barley grass. And it has a simple, yet powerful, draining system called falaj to thank for it. These ancient water channels trickle through five nearby villages, giving Jebel Akhbar a little love along the way. Remember the abandoned village we mentioned in Wadi Ghul? Well, release your inner marauder, we’ve found the biggest of them all. Birkat al Mawz is not only one of the largest when it comes to Al Hajar’s former townships, but it’s also one of the easiest to explore. A great place to check off on the way to Jebel Akhdar, Birkat al Mawz features the ancient housing of Omani tribes, a reconstructed fort (Bay tar Ridaydah) and the UNESCO-listed irrigation system (Falaj Al Khatmeen). Part of this village still functions so, be cool to residents. 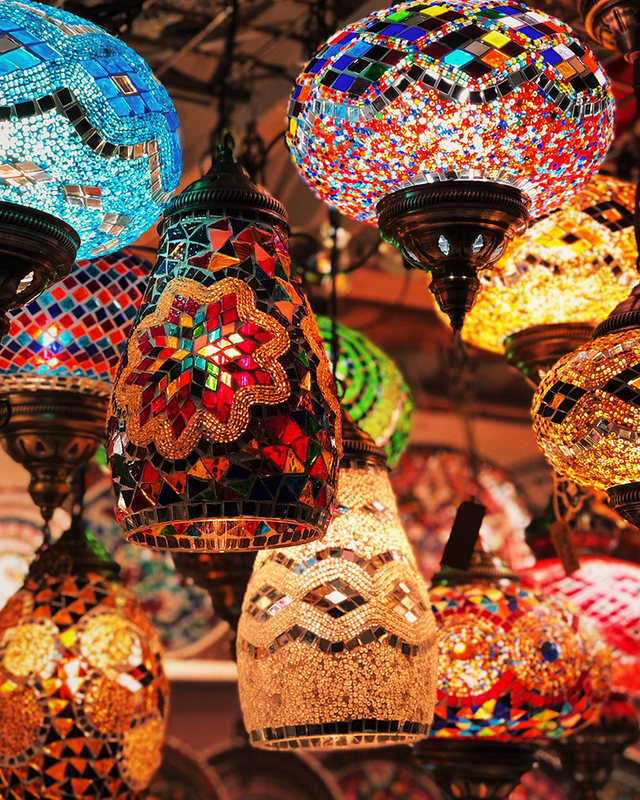 Souks (or souqs) are traditional open markets selling local Omani products and crafts like clothes, silver products, pottery and food. One of the best is Muttrah Souk in Muscat, with teeny alleyways bursting with wares and importantly, Omani Halwa (desserts). Al Husn Souk is another well-known market in Salalah, famous for Frankincense and Bahla’s Souk, located near the Bahla fort, is well known for its silver and copper handicrafts (and once again, sweets). This isn’t hyperbole, Bahla is actually called ‘Madinat al-Sehr’ or ‘The City of Magic’. One of the oldest oases in Oman, and the spot where many a Sultan would put down their roots, Bahla is a magical place and not just because of its World Heritage Site status. The fortified town is known as the birthplace of black magic or ‘jinn’, with stories of people turning into cows or goats backing up this assertion. If you’re not keen on the Charmed life, Bahla also boasts some pretty top-notch historical architecture. The city itself is fortified and surrounded by a 12-kilometre wall built in the pre-Islamic era. Just a two-hour drive from Muscat, the many wadis (troughs within a valley) of Al Rustaq simply scream ‘road trip worthy’. That being said, if you only have time to hit one, Wadi al Hoqain is one of the more beautiful with pools for swimming, waterfalls, villages, sinkholes (from a distance ya’ll) and hot springs. Driving through the region and stopping at each wadi is a day (or several) well spent. Loop maps are available online and via tourism agencies. Most start at the Rustaq fort—one of the largest in the country—and dip past the Al Hazam Castle. Travel bug biting hard? Find more inspiration right this way.